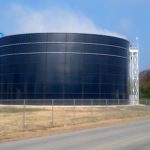 Storing water and wastewater is one of the most critical functions of any utility producer or collector. 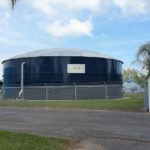 Southeastern Tank’s municipal water and wastewater solutions enable jurisdictions to effectively safeguard the health of residents and optimize the use of this vital resource. PE stamped foundation designs and installation. Expandable tank designs for future capacity. The industrial sector runs on water and wastewater pretreatment. Safely store water used in production process. 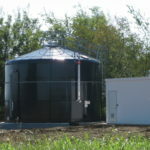 Capture wastewater and prevent it from interfering with water sources, wildlife, etc. Store water for the purpose of fire protection. 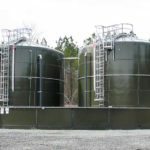 Due to its unknown volatility, landfill leachate is a potentially hazardous material; for this and other specialty tank applications that require the utmost quality, Southeastern Tank provides safe, proven solutions from premier products such as Aquastore. Expansion capability to meet changing needs. 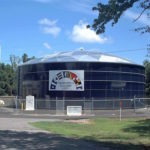 Need An Industrial Or Municipal Tank? We know you don’t have time to waste. Get a headstart with a fast quote for your tank application.